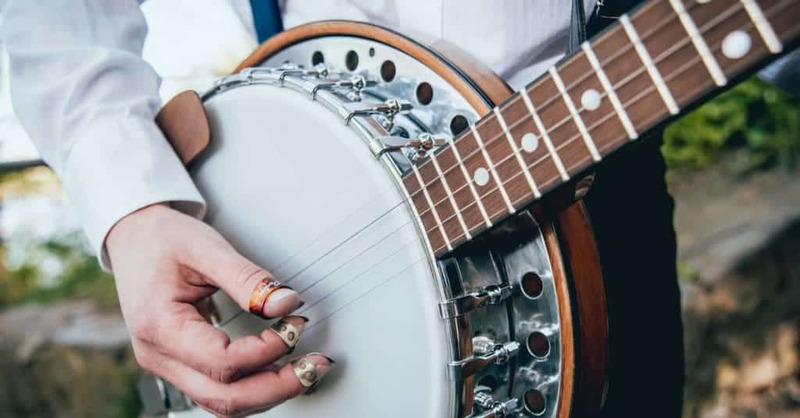 While guitars get most of the limelight when it comes to popular string instruments, Banjo’s are one of the most fun to play and let’s face it: everyone loves the sound of a Banjo. But what do you do if you need to amp up a Banjo to play alongside an amped-up band? We’ve considered quality of build, quality of sound and value for money in our reviews of the 5 best banjo pickups on the market today. 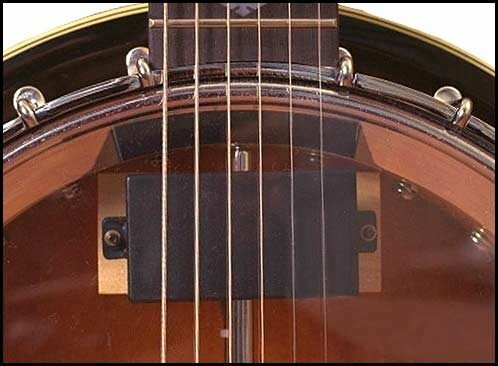 Buyer’s Tips: What Should I Look For When Buying A Banjo Pickup? 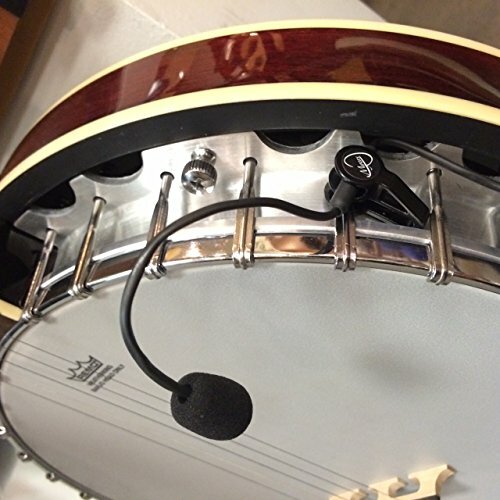 There are three different kinds of banjo pickup: piezo, magnetic and microphone pickups. Piezo pickups tend to be budget-friendly and great for people just starting out with the banjo. 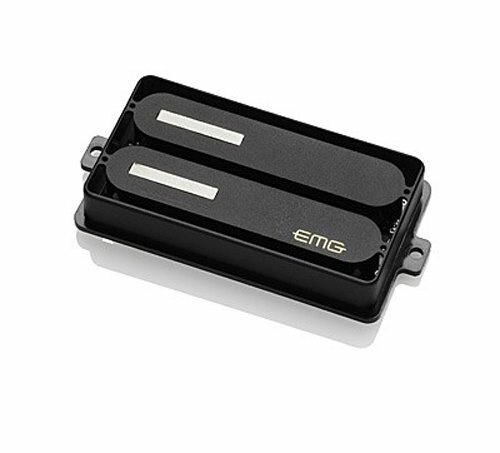 Magnetic pickups offer a higher quality of sound and less risk of feedback, and microphone pickups are excellent for controllability and versatility. Ease of installation, feedback reduction and quality of sound and construction are all things which are important to look for when buying a pickup. 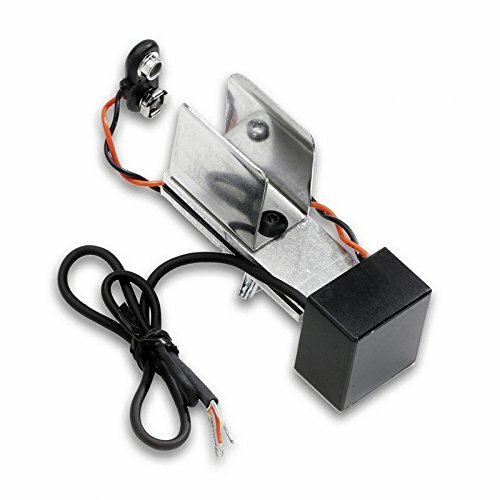 If you are looking for ease of installation, look for pickups that don’t require drilling. For feedback reduction, it’s best to go magnetic. 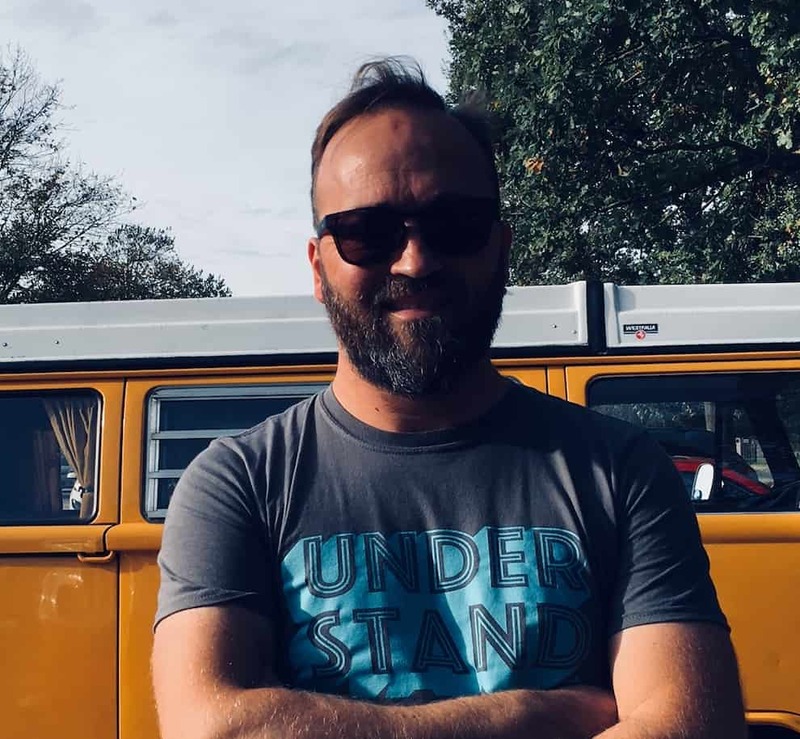 Quality of sound can be more personal, but if you want the natural resonance of your instrument to remain, then a bridge pick up may suit you best, and if you want even more emphasis on the banjo’s chunkiness, you may wish to go for a humbucker. The feather is an extremely popular pickup and offers simplicity and a natural sound as it is, essentially, a mini-microphone and pre-amp. You can clip it on in a matter of seconds, and then adjust the mic’s ‘gooseneck’ to wherever you think makes it sound best. There’s a small volume control, so you can really take charge of how much your instrument cuts through. And with this pickup, it will cut through. The Gold Tone pick up is a magnetic one, and though it’s not as easy to install as The Feather, it’s still not tricky, and you can do it yourself with a screwdriver and a spanner. It’s a humbucker, which helps the banjo keep its deep resonance once amplified, and this also means it works without a pre-amp: just plug it straight in. It’s height adjustable, so you can choose how far from the head this pick up should be, to suit your sound the best. This pickup is favored by professionals, and – like the Gold Tone – is a magnetic humbucker which can be installed by yourself, using a few basic tools. Its build quality is superior and innovative: the coils are spaced apart from each other which creates an additional acoustic quality and more resonance than any banjo pickup achieved before it. This one has a steep price tag, but the professionals use it for a reason. For those looking for something a little cheaper and cheerful, you cannot go wrong with the Sunyin Transducer. 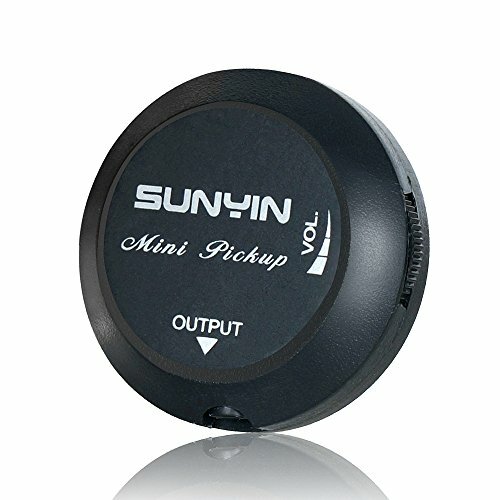 The Sunyin is suitable for a variety of string instruments, and as well as being the cheapest on this list, it’s also the easiest to install. You simply stick it on. Of course, the sound quality will not match higher end pickups and feedback may also be more likely, but you can control that using the small volume control on the side. It’s a popular choice, and perfect for those looking for something simple and effective. Fishman has a great reputation in the world of pickups, and this banjo pickup is one example of why that’s so deserved. It is a well-constructed humbucker design – which will reinforce that deep banjo sound – and it sounds great plugged straight into an amp. It’s small, easy to control and has an unobtrusive design. This pickup, however, might be a little tricky to install on your own, and professional installation is recommended. Only you can decide which pickup is right for you and your banjo. You may have fallen in love with the depth of sound in the Gold Tone, or the professional level of the EMG. You might have been sold by the cheap and cheerful Sunyin, or the reputable Fishman. However, our number 1 banjo pick up is the wonderfully light, versatile, portable and controllable”The Feather” Banjo Pickup. The Feather is the only microphone-style one on the list, and though it doesn’t promise to never feedback ever, it rarely does, and it’s an extremely popular choice. This pick up is named so due to its lightweight and can be transferred for use on any of your stringed instruments without any hassle. 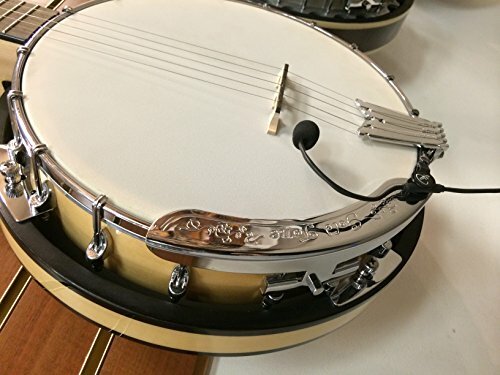 The sound quality is superior and it picks up on the natural sounds of your banjo, you can even fiddle with the flexible gooseneck to ensure that it’s picking up sound from an angle that suits you and your sound! Whichever pick up you decide is for you, we hope that you enjoy blasting your banjo, loud and proud!